Experience a less traveled route to paradise, in Xcalak. Welcome to Casa de Sueños, your private seaside Mayan retreat. Located just 5 miles north of the fishing village of Xcalak, and less than 10 miles from the Belize border, Casa de Sueños is the perfect destination for travelers looking for a less traveled route to paradise. This area of the Yucatan is steeped in Mayan history and tradition, offering access to many of the major as well as less-known Mayan historical sites. 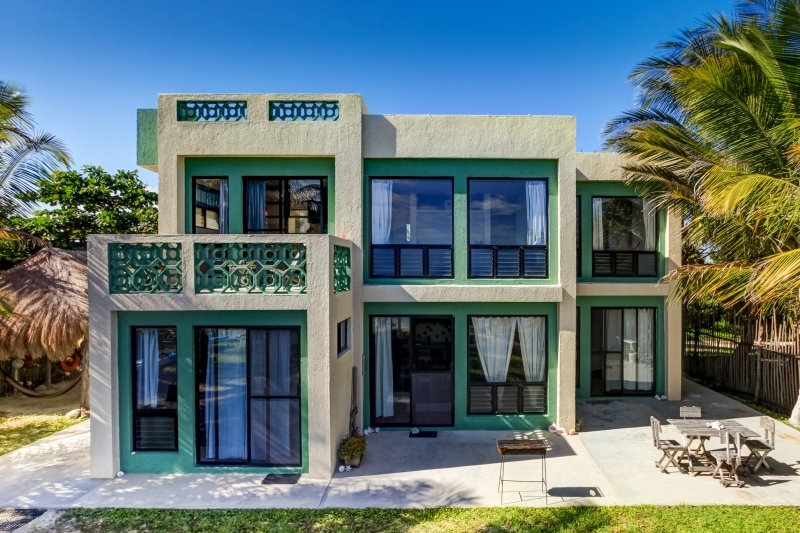 Casa de Sueños has 1 two bedroom oceanfront apartment, 2 oceanfront studios and 1 lagoon house with a lovely studio. Rates are very affordable, with lagoon studio rates starting at as low as $50 US per night in the off season and $65 US per night in high season. Please contact us for each units' availability and specific rates, which vary with season and holiday periods. We are always willing to bargain, the "Mexican" way, simply contact us directly to see what we can do. Besides the wonderful tranquility of the beaches, Xcalak is also a world class destination for fishing, snorkeling, diving, and eco-touring. We have an incredible reef system right in front of our villa, and the white sand beaches stretch for miles in either direction. The seclusion and unpopulated feel of the area add to its allure and charm. Your only company on the beach at times will be blue crabs, pelicans, and other wildlife. Xcalak is a quiet, laid back town, a perfect place to call your second home. We check emails daily, please send all information or reservation requests to this email address. Preview our resort in the virtual tour above.